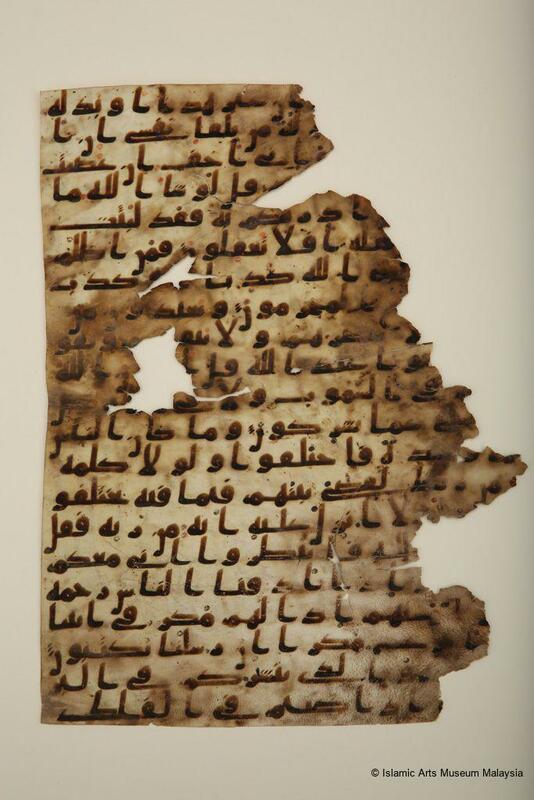 This Qur’an leaf is written in a transitional script that lies between the Hijazi and the kufic script styles. 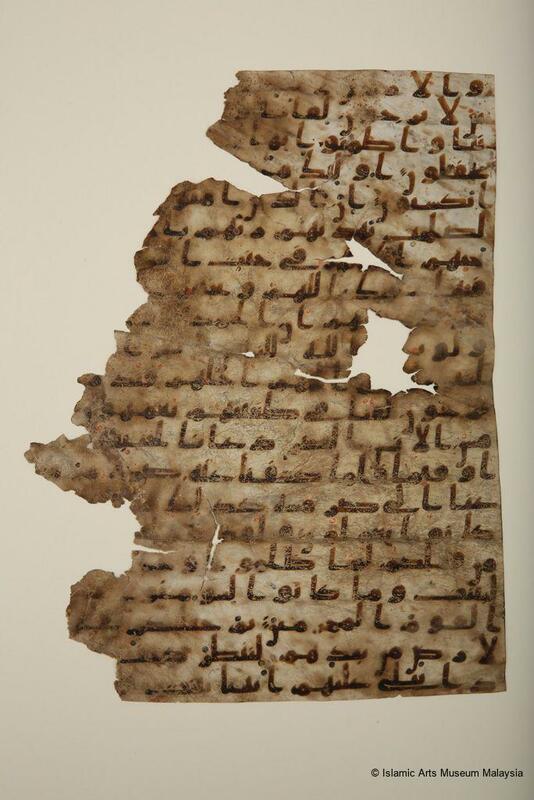 This vellum leaf demonstrates a crucial phase in the development of Quranic scripts. 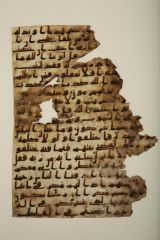 Towards the end of the first century Hijra, the Arabic letters started to acquire dots, as shown in this leaf, in the same brown ink used for the writing. Vocalization marks are seen in red and green dots, and the verse dividers are marked by the use of slanting dashes in brown ink. 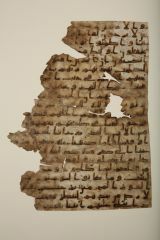 Islamic Arts Museum Malaysia, IAMM Guide Book, Kuala Lumpur: IAMM Publications, 2014: 14.